Janice S. Yi received her B.A. in Sociology and Legal Studies from the University of California, Berkeley in 2003 and her J.D. from the University of California, Los Angeles in 2007. Ms. Yi was admitted to the State Bar of California in 2008 and is admitted to practice before the Northern, Central, Eastern and Southern Districts of California. Ms. Yi began her legal career representing plaintiffs in securities fraud and antitrust class actions and then transitioned her practice to matters concerning estate planning, trust administration, probates, conservatorships, business transactions, and business litigation in state and federal court. Ms. Yi is a Bay Area native and currently resides in the East Bay. 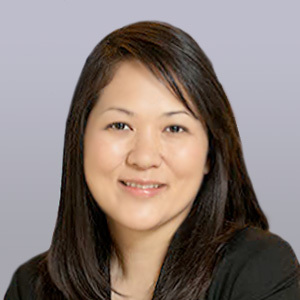 Ms. Yi joined the firm in 2018. © 2019 Delagnes, Linder & Duey, LLP. All Rights Reserved.